The Atlanta wedding photographers at AtlantaArtisiticWeddings capture Kristen and Marks beautiful wedding at the Payne-Corley house. The bride wore the mothers wedding dress and they were surrounded by friends and family through out the big day! The wedding photographers at atlantaartisticweddings shoot a wedding at night and take advantage of the Blue Hour. There was also a rainbow blessing the couple and their future together! Classic Black and White Wedding photography in the Atlanta area never goes out of style. www.atlantaartisticweddings.com is the premiere wedding photographer specializing in classic black and white photographer. If you are looking for a Atlanta wedding photographer and black and white photography you should see Atlanta Artistic Weddings. This Wedding had the cutest ring bearer who did not wanted to be left out of this Atlanta Wedding. Wedding photography by www.atlantaartsiticweddings.com. As a Atlanta wedding photographer I have the honor of shooting at the Miller -Ward Alumni House it is next to the Houston Mill House on the Emory Campus. It is a lovely facility with a wonderful staff! They could have not made easier on the bride and her guests. The Miller-Ward Alumni House is an ideal location for your wedding ceremony and/or reception. Surrounded by beautiful gardens and stonework, our facility offers timeless charm and grandeur to make your special day unique. In addition to its stately reception areas, elegant dining rooms, and garden patio, the facility also offers a well-equipped modern catering kitchen. Our helpful and friendly staff can suggest caterers who will take care of every detail. The bride looked beautiful in a slight A-line wedding dress with a with a gorgeous train with buttons going down the center. The dress was a perfect for her! As a side note it was fun to shoot at Emory since I am a instructor for the continuing education. I can referance to my students where I shot this weekend! As a Atlanta wedding photographer I love the diversity that area can give you. I recently shot a wedding at Big Canoe in the north Georgia mountains. The area is absolutely stunning! It has a huge golf course nestled in the middle of the mountains. All of this makes for a beautiful setting for photography. Then you add a gorgeous wedding and you have some great photos. On the wedding day the bride wore a slight mermaid cut wedding dress with just the perfect length train for the dress. It was very tastful and reflected her personalty perfectly. I can't say enough nice things about this wonderful couple. From the first time I met them, I could tell they were just so thoughtful to each other. They had such a great families and were so generious and gracious to all. I am sharing their exit picture with you. I love the exit photos! That way you get to see all the guest have fun sending them off. I picked this picture in particlar for a couple of reasons. One I love the lighting from the trees it gave such a warm feeling. The second is just so random! I just love the guy to the right in this photo. I did not ask him to do this but him looking at the camera with that expression and pointing at the camera is just perfect! Hi, I know some of you are just over whelmed with picking out a wedding photographer. There are many things to look for when you are choosing the right wedding photographer for your wedding. One is picking the style of photography you want for your wedding. There are many talented photographers out there and just as many styles. That is a very subjective choice and that depends on you. One thing that is not so objective is looking at reviews. Reviews tell you how satisfied clients were with their work. Well I should know I am a Atlanta Wedding Photographer and I work hard for customer satisfaction and reviews from my clients. There are many places you can check for reviews. You can check for reviews in many places. You can check at Google and look at their Google Plus page like this. You can check out Yahoo reviews of Atlanta Wedding Photographers like this. You can also check out Wedding Wire, My Wedding, Event Wire, and Facebook. The point is do a little research because brides are more than happy to share their experience with a photographer. If you have any questions please don't hesitate to contact me and I will be happy to help in any way that can. Hello everyone! This Atlanta Wedding Photographer has been very busy! I have been teaching at Emory in the evenings and getting geared up for all the weddings in May. I wanted to share with you one of my favorite time of the days to shoot. It is right after sunset and the sky turns blue. I recently took a photo at that time of day and wanted to share it with everyone. The bride wanted to use the lighting from the Gazebo for her wedding. As you can see the timing and the light made for a wonderful and dramatic photo. I hope that you enjoy the photo as much as I enjoyed taking it. When I come across a vendor that I like I like to share it with my clients. If you alive music to the wedding you can add the element of class to your wedding. Especially if you use these classy musicians. There is something special about adding a string trio to your wedding. One more bonus to having a live musician at your wedding that they can easily be available to adjust to your programs timing. That is a good thing since we all know that sometimes a wedding can run a little behind schedule. There is something to be said about live music and how much it adds to your wedding. Atlanta Wedding Photographer David DienerI love being a wedding photographer in Atlanta! I have the honor of being there to capture the special day of some very wonderful people. This wedding party was just awesome! They were fun and a ball to work with! The two familys were great as well. Just such a special group!The wedding was in Marrietta, Georgia at the Whitlock Inn. It is a wonderful Historic home in Marrietta. It has a wonderful front yard and a wrap around porch. The back yard is spacous and has vine gazebo that is fun to take pictures at. The inside has all the charm of a classic southern historic mansion. I just love shooting at historic homes!! The couple got a historic Bently also! The car was just plane fun. The chauffeur was great to work with. He was very attentive to the couple and moved the car around to get the best shots. He was a blast. When working with professionals I always like to share with others who might need their services. Here is a link below to the wedding team. I want to share with you what we have been doing lately. I have the honor of being a photography instructor at Emory’s continuing education program. Let me tell you I have a great class of talented photographers. They are getting toward the end of the of the program and are really shining! They are some of the most inspiring individuals that I ever had the honor of working with. We gone through several classes and concentrated on different aspects of photography. This month I took the class to a photography studio in downtown Atlanta. We had access to several backdrops and different sources of lighting. I was amazed at how each photographer brought their own voice to the shoot. Our model was Kristi . I can’t say enough nice things about her! She brought her “A” game and was just down right fun! Here are links to the photographers at the shoot. Please take the time to view some beautiful photography. If you want a portrait he is your man! He is a wonderful portrait and studio photographer! Wonderful photographer who has some beautiful food photography! Great landscape photographer! and she has a keen eye who also has one of the most beautiful Greyhounds! In closing the Emory Continuing Education program is a great place for inspiration and a place to take your photography to the next level. We are excited to announce that your Atlanta Artistic Weddings has won the prestigious Wedding Wire Couples' Choice Awards for 2014, as determined by reviews from our past clients. The Couples' Choice Awards recognize our business as amongst the top 5% of wedding professionals nationwide. At Atlanta Artistic Weddings I have been striving for the best for my clients. Satisfaction is job number one for the company. 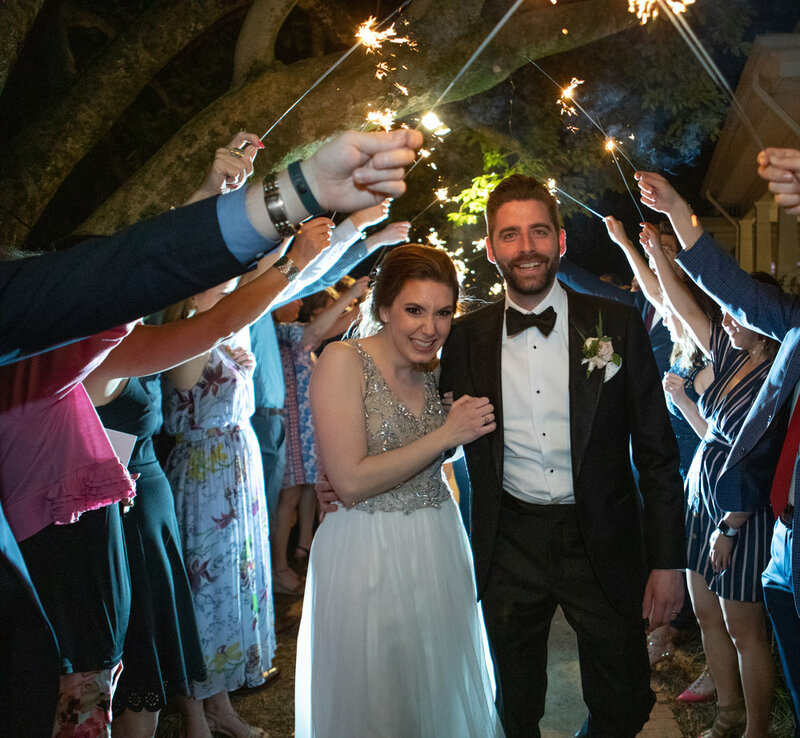 I have had the honor of doing many weddings this year and the best award is when I show the couple their photos and they are happy beyond belief. I try to capture their special day from their perspective but not miss out on any of the details of the guests enjoy. Thanks so much for vistiting. If you have any questions please don't hesitate to contact me at david@atlantaartsiticweddings.com and I will be happy to help in any way that I can. It is no secret that Atlanta wedding photographers prefer natural light. The color is balanced and there is just something about the light dressing the bride in sunlight. In this photo by David Diener you can see the bride just soaking in the natural light. I started out as an fine artist and illustrator. One of my favorite artists is Vermeer. His mastery of light is unparalleled and that is why he is considered the master of light. I am know I am no Vermeer but I will often use his techniques in photography. He is often seen using a light from a window like this one and making some very dramatic light and bringing power to his paintings. I also like using natural light because it like Vermeer it is a classic. It is something that has been used for years and will be here for a long time. As an Atlanta wedding photographer I recently had the honor of shooting at the Druid Hills County Club. It is a fixture in Atlanta. It is a classic venue right across the street from the Fernbank Museum. Established in 1912, Druid Hills has long offered the full array of services. The staff were great! They made the bride feel comfortable and at home. They have a spacious banquet room and wonderful golf course. There are just so many places to take photographs!! My favorite place was the huge staircase. It just framed the bride and facility perfectly! Oh and don't let me forget the mirrors in the brides room. They made all brides maids look like movie stars. I can't say enough nice things about the facility. It was an honor to be part of such a professional and fun team. I had the previllage to shoot another wedding at the Braselton Stover House. It is a wonderful venue that has such wonderful down home feel. It is an historic house in downtown Braselton, Georgia. It has a very southern feel. This week they had a great bride! She had a tasteful dress and the decorations. The dress had a red bow and beautiful details. The bride and groom wanted a first look since it was daylight savings time. I love doing this is is like being invited to capture in a very intimate moment between them. The expression he had when he first saw her was priceless. They were so sweet to each other! It made me so happy to see them together. This week I had the honor of shooting a great wedding at the Inman Park United Methodist Historic Church in Atlanta. It is a beautiful church that is rich in history. The church is located in Inman Park, Atlanta's first "garden suburb" . The church was dedicated on April 17, 1898. It is constructed of granite from Stone Mountain. It's interior is a classic! They have kept all the great historic details of the church in tact. The wedding guild were so gracious to the wedding party. They gave the bride a day to cherish for ever. You can see highlights of the wedding at http://atlantaartisticweddings.com/atlanta%20wedding%20photographer/October%205%202013.html. The photo to the left was taken at the large doors that lead in to the scancturay. Just look at the details on the hinges! It just makes the bride look even more grand!